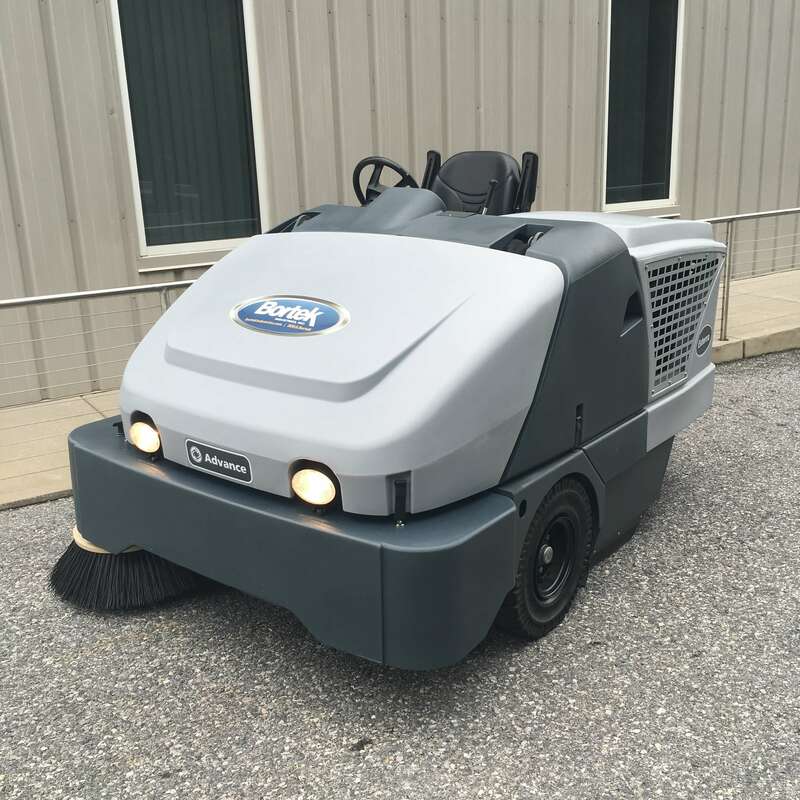 Pre-Owned Advance Exterra 6340LP Sweeper- Bortek Industries, Inc. The Advance Exterra is unsurpassed in indoor and outdoor power sweeping. 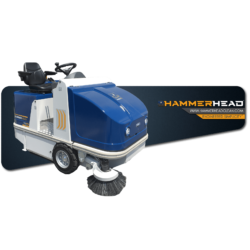 A 50 inch main broom,  the widest in this sweeper class, combined with full-time, dust controlled dual side brooms, creates an incredible 77 inch sweep path. 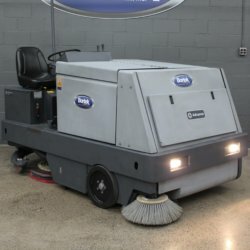 On conventional machines, dust is controlled at the main broom and, the side brooms must be raised in open areas to prevent airborne fugitive dust. 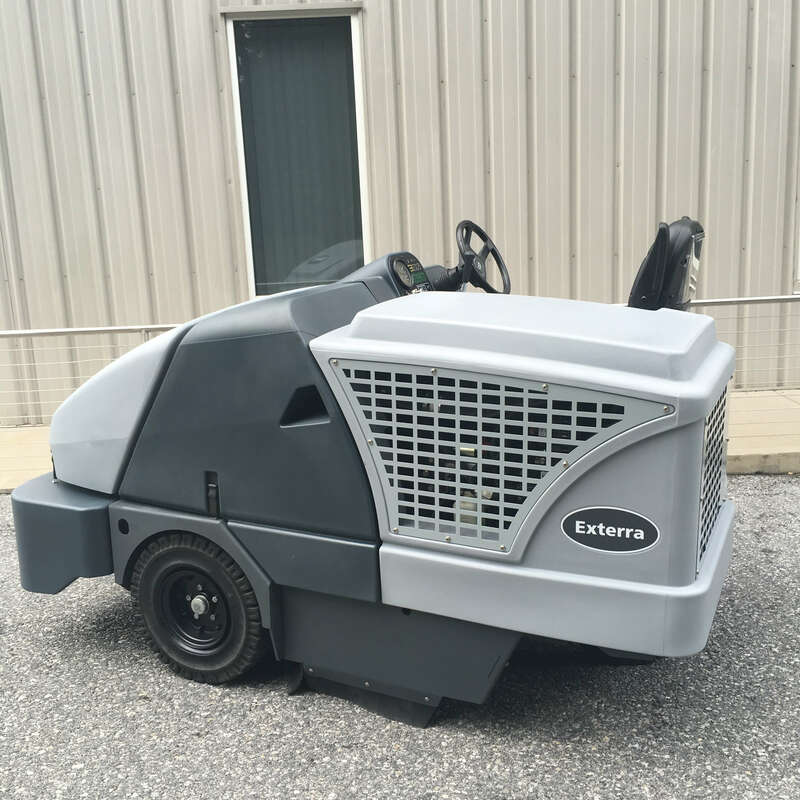 The Exterra is not a conventional machine. 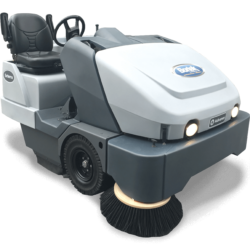 The innovative DustClear Five Stage Dust Control System allows for full time use of the dual side brooms by controlling dust along the entire sweep path  including the side brooms. Productivity is then increased by up to 71% compared with conventional sweepers that control dust only at the main broom. 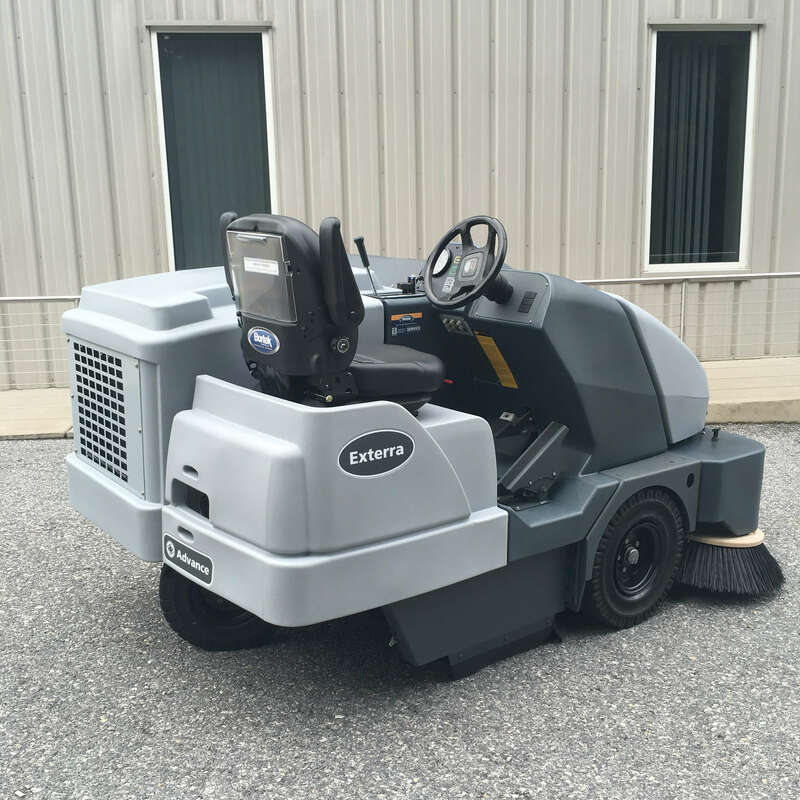 With superior dust control, innovative safety features, low maintenance costs, and ease of operation, the Advance Exterra redefines power sweeping.